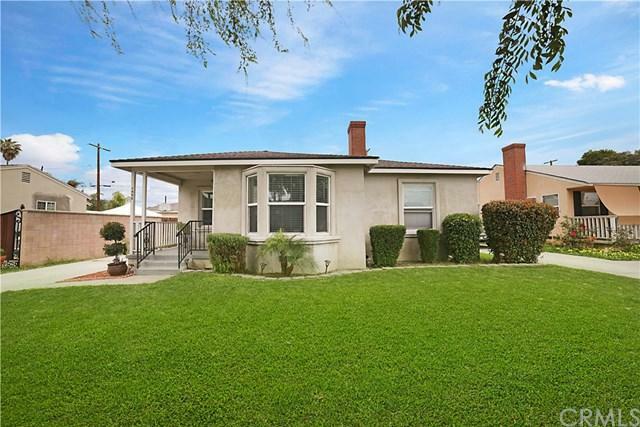 As you walk into this beautifully remodeled 3 Bedroom / 2 Bathroom home, you will find a spacious living room that connects to the dining area and kitchen. This property features a remodeled kitchen with granite counter tops and a beautiful backsplash. All three bedrooms are spacious and have plenty of closet space. In addition to the kitchen being remodeled, there have been several upgrades done to the home, such as, new carpet in the bedrooms, interior of the house has been recently painted, 6 inch molding through out the house, Low-E windows throughout the house, HVAC unit was installed (Central Heating & Cooling)and the roof was replaced about a year ago. This home also features a long drive way that can potentially be used for business trucks or a RV. This home HAS IT ALL, SO YOU KNOW IT WILL NOT LAST LONG ON THE MARKET!